Gutter replacement is often overlooked in the home maintenance schedule. A major cause of leaks within the home can be traced back to blocked and damaged guttering, which is why it is really important to check the guttering for leaves, tennis balls, etc., as they will inhibit the run off of water and contribute to their deterioration. Historically, in Australia, guttering (or spouting) has been made from galvanised iron but has also been made in lead, copper and plastic. 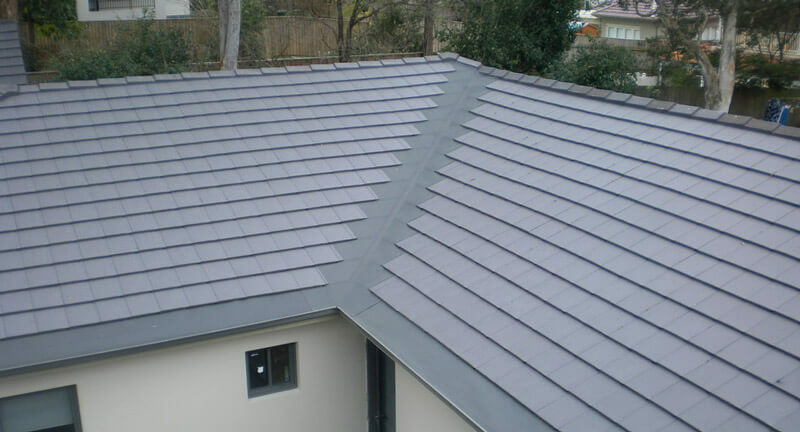 More recently the base products for guttering have been Aluminium and steel, with a zinc/aluminium alloy as a protective coating. These two more recent innovations have extended the life of guttering as opposed to the once popular galvanised product. Guttering in both aluminium and steel can be delivered in a painted finish with a variety of popular colours. Because guttering is subject to the same weather conditions right around the house, the first leak or rust spot will normally indicate that all of your guttering needs renewing. Unless there is a specific local problem (e.g. an overhanging tree, or the guttering has been erected incorrectly you will normally look at complete gutter replacement). Roof Seal® offer a full range of guttering options for existing homes. Use the web form to get a free quote!